The “Great Passion” with two Germans, aged 63 and 67, grounded on rocks off Certraro in the evening of Sep 11, 2017, at 10.30 p.m. They had departed from the Marina di Camerota (Salerno) and traveled to the Tyrrhenian Sea to Athens. Due to stormy weather with wind speeds of 60 knots and 7-8 Beaufort, the two got in difficulty near Caserma Rione, and hoped to find refuge in the harbor of Cetraro. The Coast Guard and the Carabinieri were alerted by the MRCC in Rome which had received a signal of the EPIRB. One of the yachtsmen was rescued from board with multiple injuries at 11.30 p.m. and brought to the emergency room of the Cetraro Hospital. He was released the next morning and accommodated in a hotel. There was no news, however, about the other. 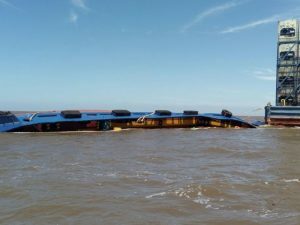 According to his friend, he had already fallen into the sea without the life jacket when the yacht grounded. Boats of the port master, three patrol boats and a Coast Guard helicopter from Catania were looking for the missing man. 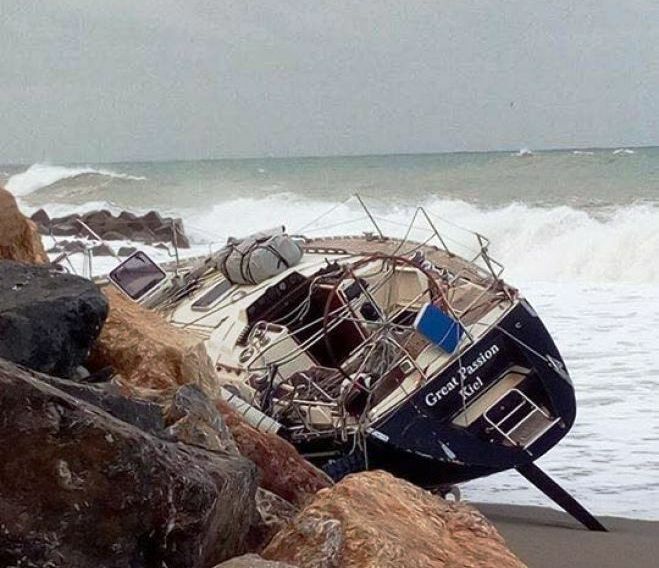 The boat ended on the rocks off Colonia San Benedetto near the old Cetraro sports field short past midnight.